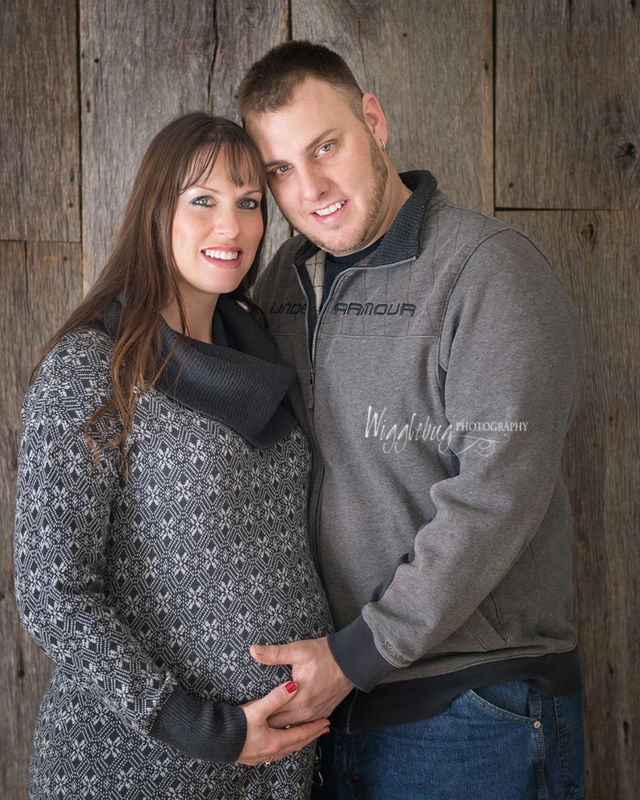 Julie and Jake had to reschedule this maternity session because of the snow. 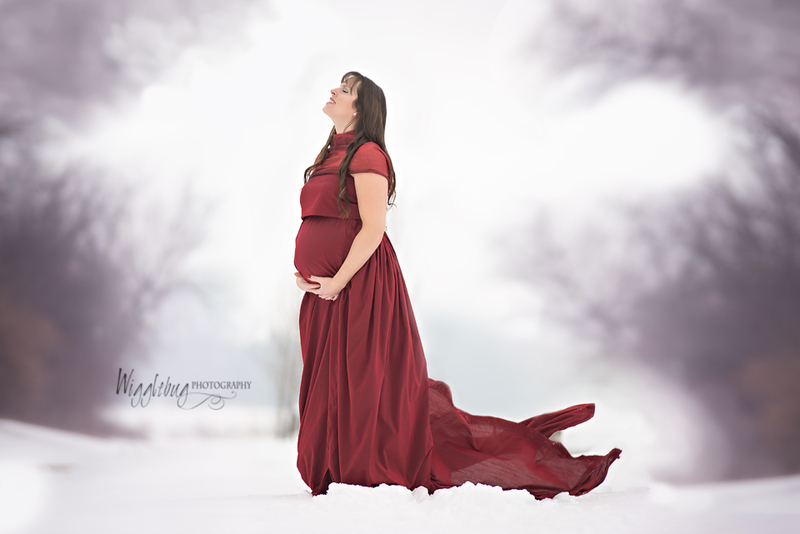 I had wished for some beautiful snow for their outdoor photos and we got more than we bargained for! Thankfully, we were able to schedule a session for the very next weekend. Thankfully, no blizzard this time. However, we still had lots of snow for some amazing outdoor shots. I was grateful that Jake was there to cut a path through the snow. We shot the "red dress" part of the session in the outdoor studio here at Wigglebug. The drifts were up past out knees. Jake was quite the gentleman! Despite the snow, it was relatively warm outside. In fact I could hear the snow melting all around us. We made our way back inside to the studio and got the rest of the session. 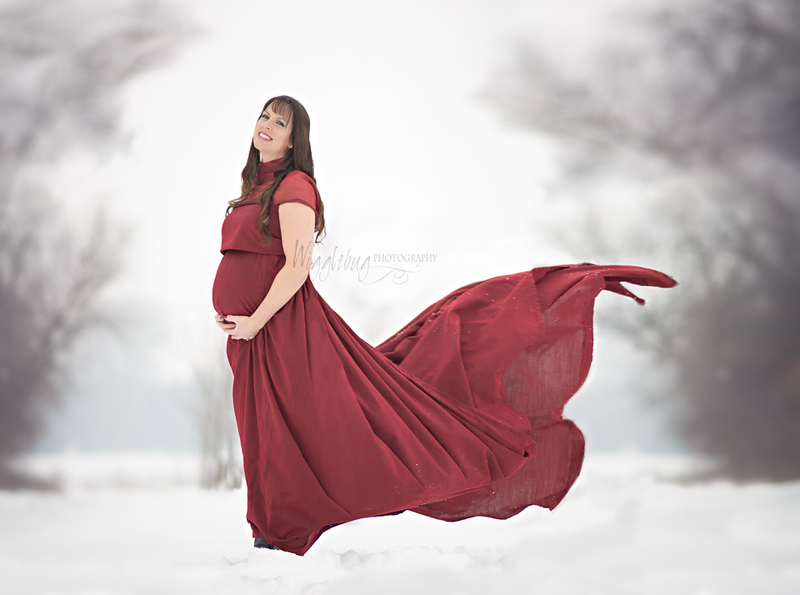 I think you will agree that Julie is a stunning mother-to-be! 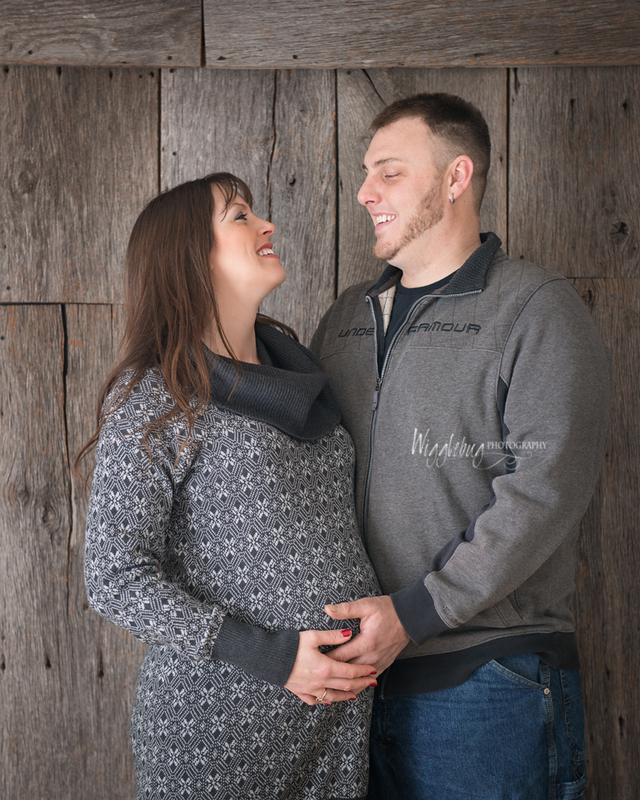 I am already looking forward to their newborn session!